This map is property of the Department of NPRSR, use as a planning tool only. It should not be relied upon for use in the field as printing them from your computer screen may distort the topographic data; for your safety, purchase a topographic map brochure to take on the walk with you. 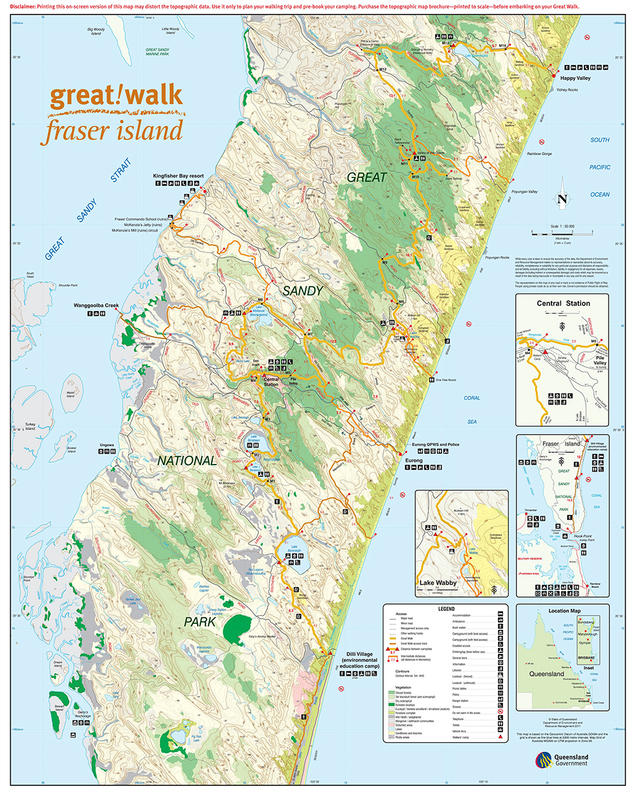 The full map contains lots of key information, such as walking times and general advice for The Great Walk.